Corn tortilla w/ jack cheese. Crispy corn chips topped w/ refried beans, cheese, tomatoes, jalapeños, guacamole, & sour cream plus your choice of meat. Crispy corn chips topped w/ refried beans, cheese, tomatoes, jalapeños, guacamole, & sour cream. A traditional-style margarita infuse w/ a Coronita make this a perfect blend. Served w/ a shot of blended house tequila. Absolut Vodka, fresh squeezed lemon & mineral water. Refreshing & light. Deep‎ fried burrito w/ your choice of meat. Meat, cheese & beans inside, topped w/ cheese, sour cream & guacamole on a bed of lettuce. Large, flour tortilla filled w/ refried beans & jack cheese, topped w/ our signature burrito sauce. Large, flour tortilla filled w/ rice, refried beans, onion, cilantro, Salsa Mexicana, mild red salsa, sour cream, guacamole, jack cheese, lettuce, & tomato, topped w/ our signature burrito sauce. 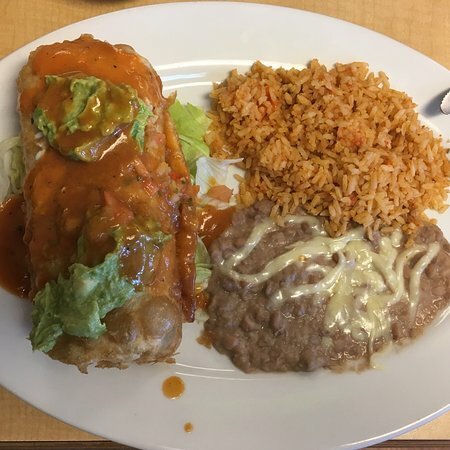 Large, flour tortilla filled w/ rice, refried beans, onion, cilantro, Salsa Mexicana, mild red salsa, & chile relleno, topped w/ our signature burrito sauce. Large, flour tortilla filled w/ rice, onion, cilantro, Salsa Mexicana, mild red salsa, & shrimp grilled in our signature garlic sauce & chipotle sauce, topped w/ our signature burrito sauce. Large,‎ flour tortilla filled w/ rice, refried beans*, onion, cilantro, Salsa Mexicana, mild red salsa, sour cream, guacamole, jack cheese & your choice of meat, topped w/ guacamole, onion, cilantro, tomato, & Parmesan cheese. Large, flour tortilla filled w/ rice, refried beans*, onion, cilantro, Salsa Mexicana, mild red salsa, sour cream, guacamole, jack cheese & your choice of meat. Pork in green chile sauce served w/ sour cream, lettuce, rice, refried beans, & tortillas. Poblano chile stuffed w/ jack cheese served w/ rice, refried beans, & tortillas. One enchilada & one taco w/ your choice of meat served w/ sour cream, lettuce, rice, & refried beans. A corn tortilla filled w/ your choice of meat topped w/ jack cheese & enchilada sauce served w/ sour cream, lettuce, rice & refried beans. A flour tortilla filled w/ your choice of meat, pico de gallo, fresh avocado, red salsa & cheese, topped w/ our signature burrito sauce. Rice & beans on the side. Your choice of meat, lettuce, tomato, cheese & red salsa. Rice & beans. 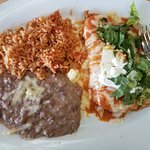 Two rolled, corn tortillas filled w/ your choice of meat topped w/ jack cheese & enchilada sauce served w/ sour cream, lettuce, rice & refried beans. Two‎ soft taco’s w/ your choice of meat served w/ rice, & refried bean’s. One enchilada w/ your choice of meat & one Chile Relleno served w/ sour cream, lettuce, rice & refried beans. One soft taco & one chile relleno served w/ sour cream, lettuce, rice, & refried beans. Sweet, rice, cinnamon, vanilla, & milk drink made fresh. No refills. Chicken grilled w/ onion & bell pepper served w/ sour cream, guacamole, rice, refried beans & your choice of flour or corn tortillas. Steak grilled w/ onion & bell pepper served w/ sour cream, guacamole, rice, refried beans & your your choice of flour or corn tortillas. 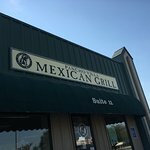 Shrimp, Chicken, & Steak grilled w/ onion & bell pepper served w/ sour cream, guacamole, rice, refried beans & your choice of flour or corn tortillas. Chipotle garlic sauteed shrimp over a bed of bell peppers & onions, served w/ sour cream, guacamole, rice, refried beans & your choice of flour or corn tortilla’s. Served w/ corn tortillas & oregano, onion, cilantro, lime wedges & toasted red chiles on the side. I had the "Fajita Taco Salad" and it was excellent - a nice change from a traditional Taco Salad. 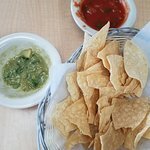 Great chips and salsa. My husband had a burrito - huge- and it was great as well. Small hidden treaure small tucked away out of sight. I had the chicken enchilada special and it was really good. Bring appitite portions are big. 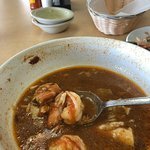 I'm from Southern California and normally Nebraska Mexican food is not that good. This place did not disappoint. What a great place. Food is excellent service was little slow but good. Prices are fair for food you get and the margaritas are excellent. We will certainly be back next time we are in Lincoln. Excellent food! Great friendly service! 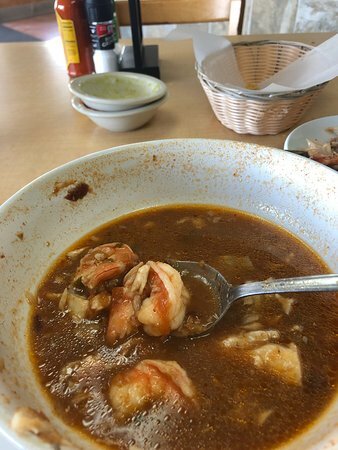 This family run restaurant is a great place to eat and one of Lincoln's hidden diamonds! 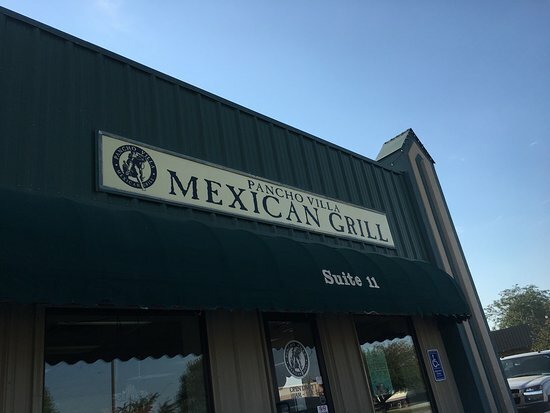 Get quick answers from Pancho Villa Mexican Grill staff and past visitors.